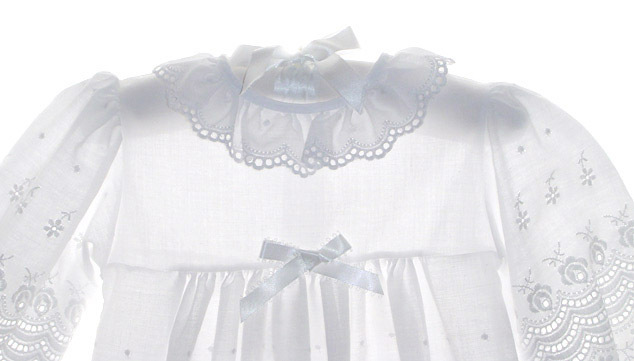 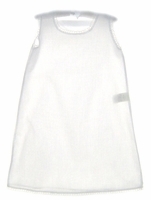 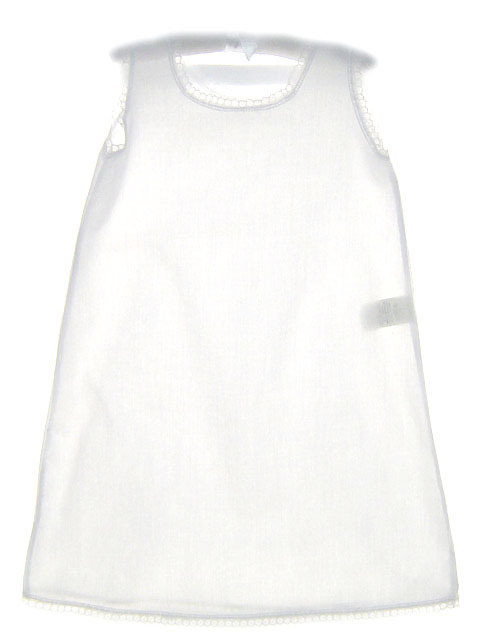 This sweet long white cotton blend white eyelet christening gown is made by Alexis. It features a high yoke with an embroidered eyelet skirt topped by a soft white satin bow. 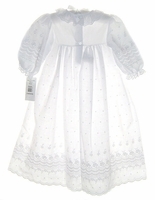 The gown has an eyelet ruffle at the neck and long sleeves with elasticized sleeve ruffles. 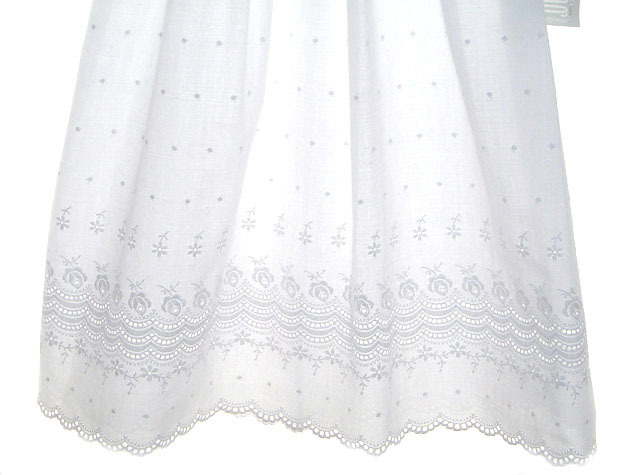 The long full skirt has scalloped embroidery at the hem and the gown closes in the back with two small buttons. 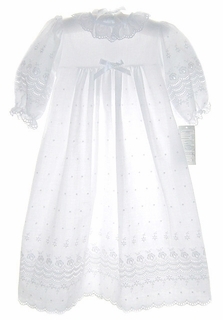 A separate slip and an eyelet bonnet, both with ruffled eyelet trim, are included.